I love because there is not enough room in my heart to hate. 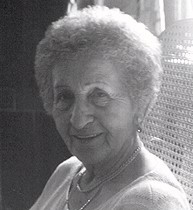 Among the first 999 Jewish girls on the first transport brought into Auschwitz on March 26, 1942, was twenty-one year old Rena Kornreich-the seven hundred and sixteenth woman in that infamous death camp. "This is the first registered transport sent to the camp [They begin numbering them at 1,000]." (Czech, 148). On the other side of the wall, temporarily built to separate the men's and women's camps in Auschwitz I, were Polish Gentiles imprisoned for their political or religious beliefs and Russian POW's. Birkenau, later to become the women's camp, was used to house the Russian soldiers who were executed on an almost nightly basis in Block Eleven (The Block of Death). According to a note one Polish prisoner smuggled to Rena, "12,000 Russian soldiers were here when we came. 5,000 are left.... Your clothes are their uniforms." Rena had seen enough of war in occupied Poland, where she was from, to know a little of what to expect from her oppressors. Yet, she was still unable to fathom their relentless cruelty. "How are we going to find our suitcases later?" I figure I'm a human being, I have a right to ask. "Get in line and shut up!" he yells in my face, pointing his gun at me. The hair on my skin bristles. He doesn't see that I am human. Two days after the first transport, Danka, Rena's younger sister, followed Rena to camp where, together, they spent the next three years of their young lives as slaves to the Third Reich. The purpose of art, in my opinion, is to take us places where we have never been before. And whether it is in reality or imagination that we journey to Auschwitz the excursion is always valid. Rena's Promise is an artistic attempt to not only provide facts but to transport our readers into the immediate circumstances of survival and further than that, into Rena's mind. Mama, I brought you the baby back. I repeat it over and over in my head. It is the refrain to the song that keeps me strong and healthy and spirited: Mama, I brought you the baby back. My one great feat in life, my fate, is to survive this thing and return triumphant with my sister to our parents' house. My dream cannot be marred by German whips or chains or rules. I will succeed because I have no other choice. Failure does not even occur to me, We may die in the interim-death cannot be avoided here-but even that will not dissuade me from my sole purpose in life. Nothing else matters but these four things: be with Danka, be invisible, be alert, be numb. Women's accounts of the Holocaust are rare, but until Rena's Promise there has been no other book written by a survivor from the first transport of women. And for that reason alone she is historically important. There is very little information about the first transport of women and only vague footnotes mentioning it in the history books. Male survivors testimonies are far more published, than women's accounts yet the fact remains that the first transport was not men but girls on the verge of womanhood. "...Racism's 'logic' ultimately entails genocide....Any consistent Nazi plan had to target Jewish women specifically as women, for they were the only ones who would finally be able to ensure the continuity of Jewish life. Indeed, although the statistical data about the Holocaust will never be exact, there is sound evidence that the odds for surviving the Holocaust were worse for Jewish women than for Jewish men" (Rittner and Roth, 2). This point is painfully obvious when one takes a look at even a few of the daily entries from The Auschwitz Chronicle. If anyone doubts the genocide perpetrated upon the victims of the Third Reich they need only look at the systematic coldness recorded in the Nazi's daily records. "June 8 ...880 Jewish men, women and children...arrive in an RSHA transport from Greece. Admitted to the camp following the selection are 220 men, given Nos. 124325-124544, and 88 women, given Nos. 45995-46082. The other 572 deportees are killed in the gas chambers" (Czech, 415). There is a rumor that Auschwitz is going to be used just for men again. We are going to be moved to Birkenau. There are other rumors of a gas chamber and a crematorium. "What is Birkenau?" We do not believe the other rumors, they were started by the Germans to dishearten us. From "March to mid-August 1942...about 17,000 women prisoners, most of them Jews, arrived at Auschwitz. A large number of them (probably 5,000) perished before the transfer of women to the camp at Birkenau" (Strezelecka, 401, 394). ...The floor is dirt. There are no bunk beds here; there are shelves, wood planks, three tiers high. We are supposed to sleep here? Where are the mattresses? Our beds look like horse stalls. There is a sour smell of human odor. There are rags for blankets. We stand, squeezing our bread in our hands, unable to cope, unable to move. A girl begins to cry. Like fire in a stable her fear grabs us, and like dried straw we burn inside. Tears cannot quench these flames of disaster. We are lost. This is Birkenau. Rena and Danka survived Birkenau for over a year when selections of 20,000 women might leave camp almost empty... only to be full again the following evening. It was Mengele himself that chose Rena and her sister for the SS laundry, which removed them from Birkenau with the advent of their second winter. In the SS laundry Rena and Danka were relatively safe from the mass selections that plagued the prisoners of Birkenau but receiving something as innocent as a note or a secret piece of sausage could still mean death. During the summer of 1944, Rena's job was to hang the laundry out to dry; it was during this time that she had several unique encounters with Irma Grese, one of the most notorious villains in the Auschwitz Complex (she was one of the only women executed for war crimes). "You know what's going to happen when the war is over and we've conquered the world?" [Wardress Grese asks.] "No, I don't." My skin grows cold despite the blazing sun. "All of you Jews will be sent to Madagascar." She doesn't use a mean tone of voice, she just says it matter-of-factly, as if she knows that without a doubt this is the way it will be. "You'll be slaves for the rest of your life. You will work in factories all day long and be sterilized so you can never have children." ...There is a roaring in my ears, a train rushing through my head. Why don't I just die right now if I'm going to be a slave for the rest of my life? I stumble blindly from her voice, fighting the dryness stinging my eyes. What's the point of going on if this is all there is? I hide my face between clean white undershirts and shorts. I want to tear them off their lines and scream at the encroaching clouds darkening the sky above us. I want to end it all, make the endless monotony cease... make everything stop. I want to sleep forever and never wake up. Then I hear myself saying, Come on Rena, you don't even know if you're going to survive tomorrow-why worry beyond that? There was a blizzard on the night of January 18, 1945, when Rena and her sister left Auschwitz for the first and last time, but it was not to mean freedom. For six days and 60 kilometers they were forced on the death march to Wodzislaw Slaski where they were then loaded into coal cars and taken into the interior of Germany. The rest of the war was spent digging ditches against the allies and burying their own comrades who had starved or been beaten to death. Then, on May 2, 1945, the Russian and American troops met in the middle of Germany and Rena and her sister were finally liberated. "We're free!" We hug each other, crying. "We are free!" My heart is a stone in a river of tears. I am always amazed by Rena. Her ability to laugh and tell jokes. She is a gift of life and memory, and what a memory. And despite all of the tragedy she has witnessed she maintains her spirit and good humor. That is often the thing that amazes me most. She does not get caught in the unanswerable question-the why's and how's-of Auschwitz; that would be suicide or worse insanity. And perhaps that is why she can remember with such brutal clarity. A student from Brown University asked her how she dealt with the trauma of Auschwitz psychologically and her answer was, "I started having babies." What better way to cope with death than to make new life? A Buddhist Monk and dear friend went to Auschwitz in 1996 on a pilgrimage in honor of Rena Gelissen. There he lit candles to her parents and delivered a message to them from their daughter, "Dear Mama and Papa, I love you. I'm so sorry we were parted too soon." His journey to the camps affected him deeply and upon his return he shared this sentiment, "The ghosts of Auschwitz demand that we live our lives to their fullest potentials. Take every moment and squeeze the juices out of it. That is what they want, not revenge. They want us to light candles and pray but also to dance and celebrate life." Is that the real challenge of Auschwitz? To have not only the courage to remember but to embrace life rather than death? It is hard for every survivor to cope with their memories and despite her fortitude, a year after her story was published she called, crying. "I thought it would go away." She wept. "I thought the memories would go away." No one can take that past away from Rena or any Holocaust survivor, as much as they wish we could make their nightmares fade. We can listen to them though, and share their pain. Perhaps that is the way to lessen the burdens of the past, and in that way we let these remarkable survivors know that they are not alone. By listening we give them hope that their stories will continue through the generations and never die. Rena's story of survival reveals the power of relationships between sisters, men and women, Gentiles and Jews. It is love which gives them the will to endure unimaginable circumstances-it is that same love and courage that allows Rena to share her story with others. Her mission is to share her experience along with her message-Shalom to all people. If we can let Auschwitz teach us how to live then those six million and more deaths will not be for naught. Auschwitz is our world's shared human history (it is not only for Europeans to learn from, it is for all of us to take to heart) only then can we learn that hatred is meaningless. - Heather Dune Macadam, Co-author of Rena's Promise, A Story of Sisters in Auschwitz, Beacon Press, USA; Orion House, UK; also in translation in German and Japanese. If you would like to send correspondence to Rena Kornreich Gelissen, please e-mail: Hdune@ibm.net. I will then forward notes and questions to Rena and e-mail a response - Heather Dune Macadam. Bibliography Czech, Danuta. Auschwitz Chronicles 1939-1945. London: I.B. Tauris, 1990. Kornreich Gelissen, Rena, and Macadam, Heather Dune. Rena's Promise: A Story of Sisters in Auschwitz. Boston: Beacon Press, 1995. Rittner, Carol, and Roth, John K., eds. "Prologue: Women and the Holocaust" and Chronology." Women and the Holocaust: Different Voices. New York: Paragon, 1993. Strezelecka, Irena. "Women." Anatomy of the Auschwitz Death Camp. Yisrael Guttman and Michael Berenbaum, eds. Bloomington, Indiana University Press, 1994.